Working closely with NETWAS Uganda (www.netwasuganda.org), IRC (www.irc.nl), waterAid (www.wateraid.org), Cranfield University and SKAT Foundation, the ATC finalized the Guidelines to Technology Introduction (GTI) in Uganda. The GTI are being used to bridge the gap that has for long existed. As spelt by the center's mandate, the ATC carries out applied research on water and sanitation technologies. The Technology Applicability Framework (TAF) packaged within the GTI is used a key tool in the center's work. 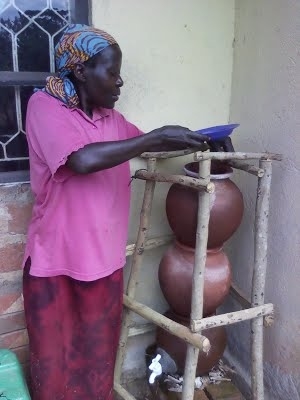 A number of technologies i.e., Tippy tap, Ferrocement tanks for rainwater harvesting, and Urine Diversion Dry Toilets (UDDT) have been tested using the TAF. Other technologies that have been screened include the use of advanced solar systems and WADI indicator to enhance the effectiveness of the low cost Solar Disinfection (SODIS) technology for purification of drinking water. To enable promising technologies go to beyond the pilot stage and catalyze improved access to safe water and sanitation across the country, ATC continues to bring to book all Water and Sanitation technologies, study their applicability and contribute to redevelopment of specific technologies where necessary. Water and Sanitation stakeholders are encouraged to collaborate with the ATC, take part in identification and testing of the technologies. For more information about the GTI and TAF, please contact the ATC.